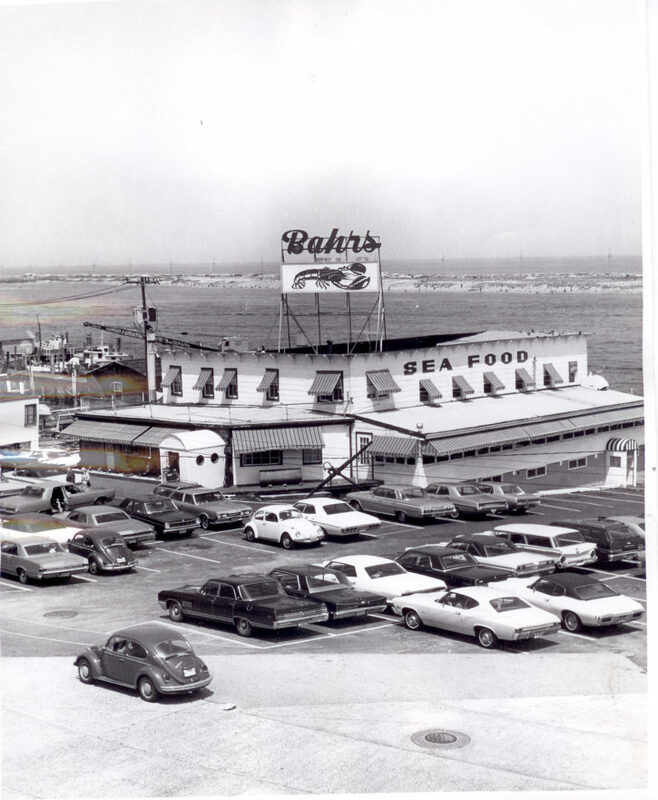 The recipe for Bahr’s Special was published by the Ford Times (yep the car company) in May of 1966. 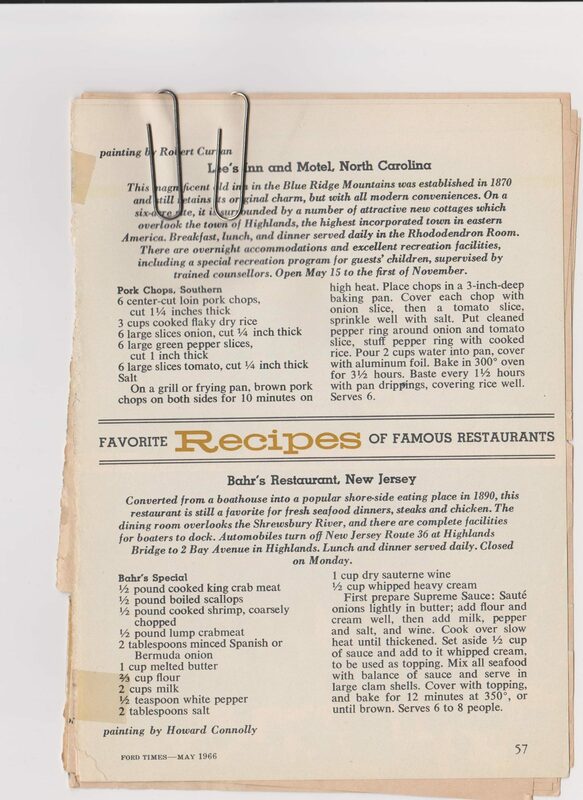 This publication was distributed to about 5 million people and the edition that Bahrs Landing was in, was titled “Famous Recipes from Famous Restaurants,” reason being that if you had a car you needed to know where to eat when you got there. The art for the piece on Bahrs Landing is by Howard Connelly. 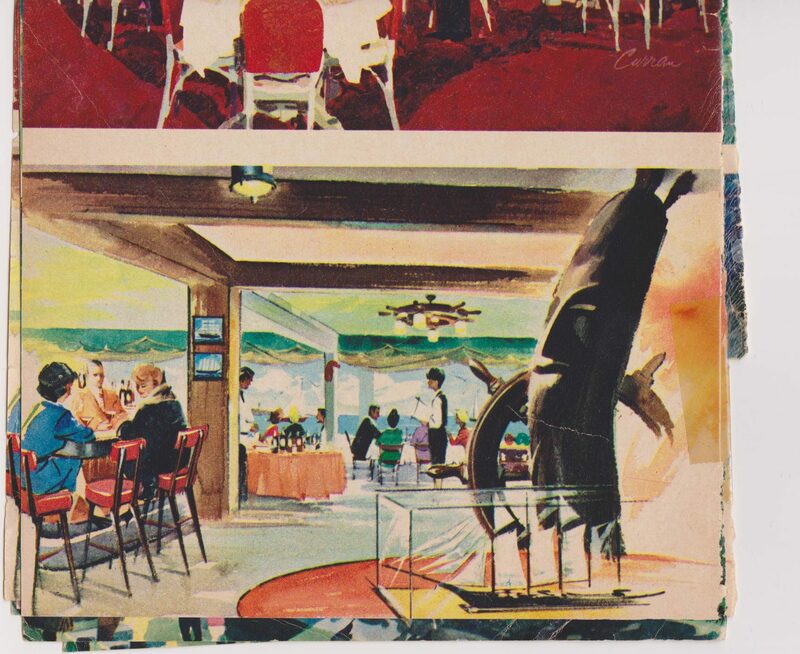 He painted, to accompany the recipe, a beautiful rendition of the lounge and dining area including the red leatherette bar chairs, the carved King Neptune, ship wheel and ship model. 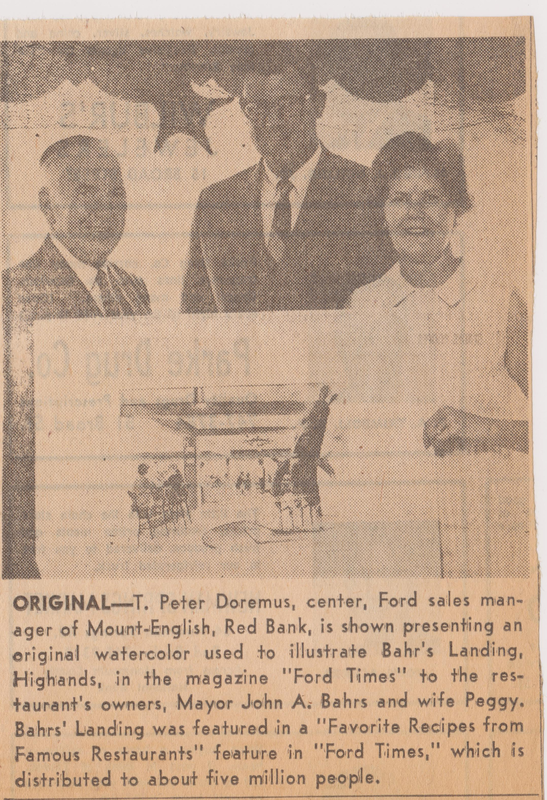 Peter Doremus, Ford sales manager of Mount-English, Red Bank, presented the original watercolor to Bud and Peg. Bud was Mayor of Highlands at this time. The Garden State Arts Center and Monmouth Park attracted crowds and celebrities. 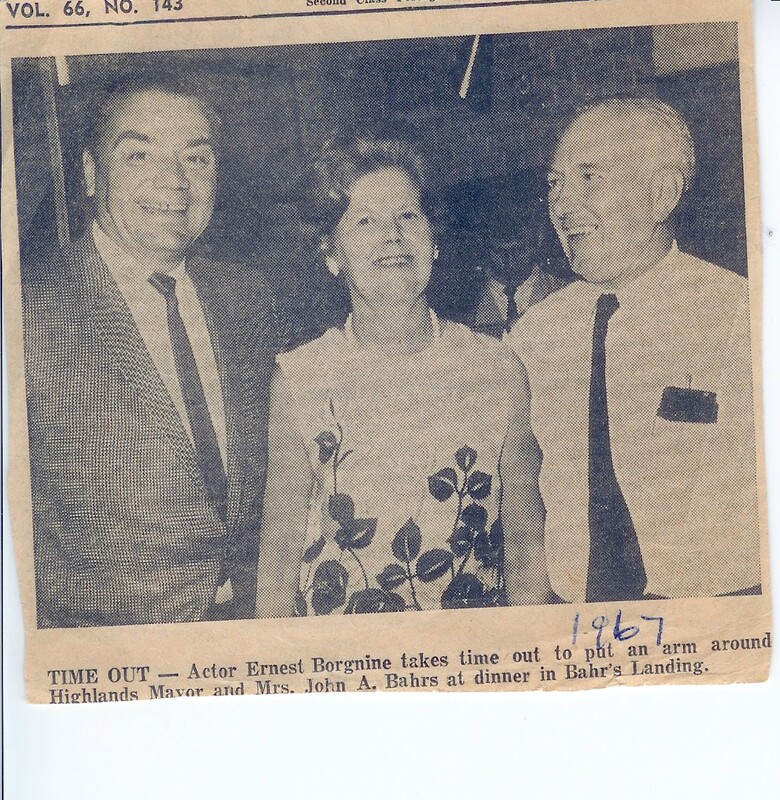 Long time Courier News reporter Muriel Smith wrote on August 19th 1967 of a visit to Bahrs Restaurant by Ernest Borgnine, Academy Award winner, star of television’s “McHales Navy” and a star attraction in the cast of “The Dirty Dozen”, a World War II movie which premiered in New York that week. She wrote that he stated “I like it here… its real close to my heart, because its close to the water”. The reporter goes on to write that “Borgnine, members of the cast of the new film, and public relations personnel from all over the world, culminated three days of premiere activities with a day at Monmouth Racetrack and dinner at the Highlands dining spot”. This group included John Casavettes, another star of The Dirty Dozen movie. The Circle Line of New York delivered the 127 guests of MGM studios to Bahrs Pier 7. Busses and limos delivered the entourage to Monmouth Park.